A perfect gift for a parent or grandparent, the tree of life and memories is a keepsake in the owner's home. 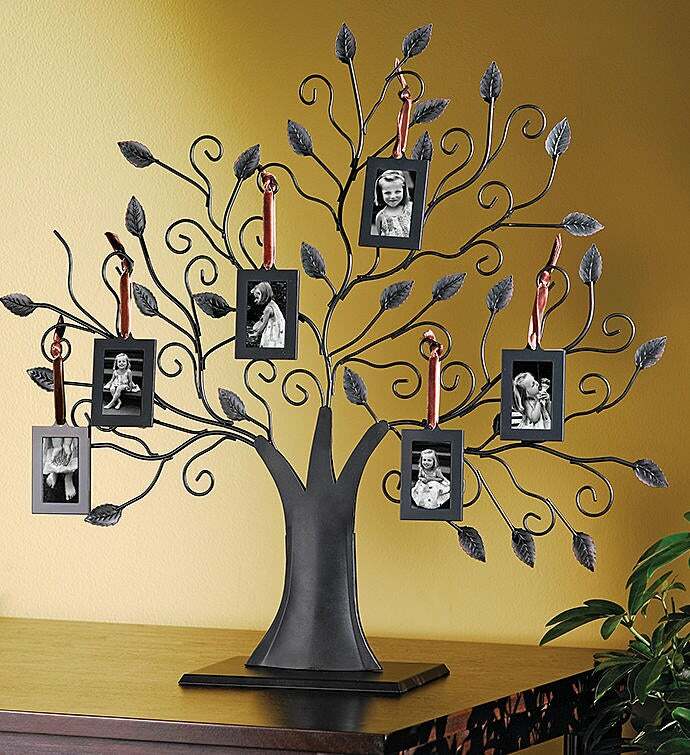 With a beautiful bronze finish, it holds six hanging pictures from a leather string. Each frame is 2.5" x 3.5"
A perfect gift for a parent or grandparent, the tree of life and memories is a keepsake in the owner's home.